We have just finished another Breast Course for Nurses at CBMH. It was a similar model but as always, there was something new. 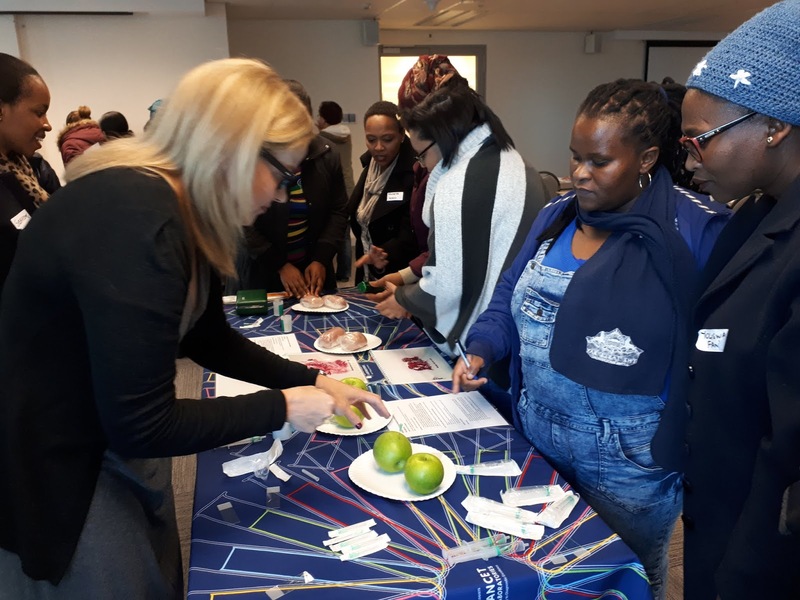 The health care workers attending the course were a mixture of state and private nurses. Not only did they come from different sectors but also from different disciplines. Midwives, oncology sisters, ward staff, academic nurses, radiographers and clinic staff. It is always more rewarding to teach a mixed group of health care workers as each discipline contribute a different viewpoint to a discussion. The course was run over 2 days. Day 1 covered familiar territory. Clinical assessment of the breast, benign breast changes, special investigations of the breast, wound care, lymphedema and advocacy and community working. The lectures were given by a variety of people including Sr Karen Hill, Britta Dedekind, Sr Lieske, Linda Greeff, Kate and Astrid. A huge thanks to all of them. ﻿Day 2 concentrated on breast cancer. The morning lectures were given by Dr Boeddinghaus, Dr Maurel, Dr Raats and Dr Dedekind. 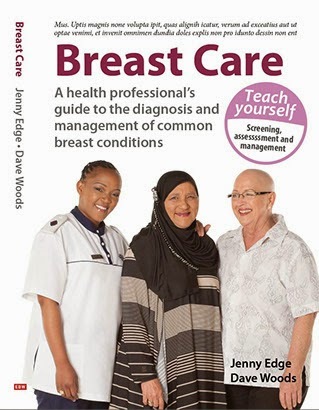 Different aspects of breast cancer management were covered. After the tea break, we had a new session. Dr Magda Heunis ran the session on follow up of breast cancer patients. 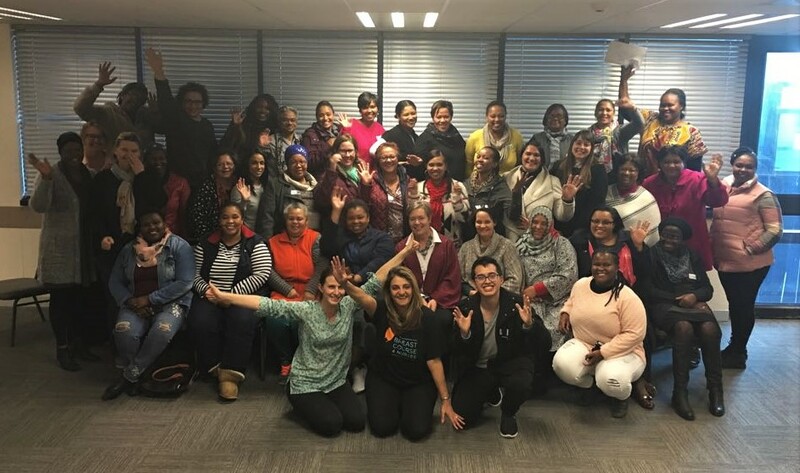 In Tygerberg breast clinic, we are in the process of developing a policy for breast cancer follow up. We had a discussion about what a follow up programme should involve:surveillance for a new breast cancer, assessment of side effects from breast cancer treatment, psycho social support and a network for referral if there is another problem. Who should see breast cancer survivors? How often should women be seen? How often should they be offered a mammogram? Thanks to Magda for giving a comprehensive overview. Dr Riette Burger was involved in our program for the first time. She is passionate about palliative care and has introduced a course for students at US. 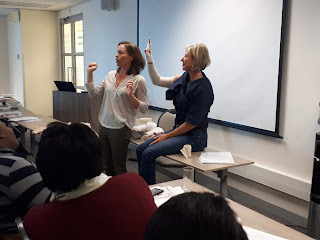 She ran the palliative care session with help from Sr Margot van der Wielen from St Lukes Hospice. For me, this course was a lovely mixture of my colleagues from CBMH and my new colleagues from Tygerberg Hospital. I look forward to being involved in more public/private breast cancer initiatives. Thanks as always to Mr Tilney for his continued support for the Breast Course for Nurses. Congratulations to Wendy Bokwe who won the spot prize for suggesting yellow as a colour for breast cancer campaigns. Thank you to Pathcare for sponsoring the Breast Care books that each participating student receives as their study material. To all of our sponsors for this course: Pathcare, Netcare CBMH, Lancet Laboratories, Morton and Partners and all of those that gave time to lecture and prepare the course, a massive thank you! Last but not least, it was wonderful to be with the familiar trio: Sr Karen, Sr Lieske and Michelle. Without them, none of this would ever happen.